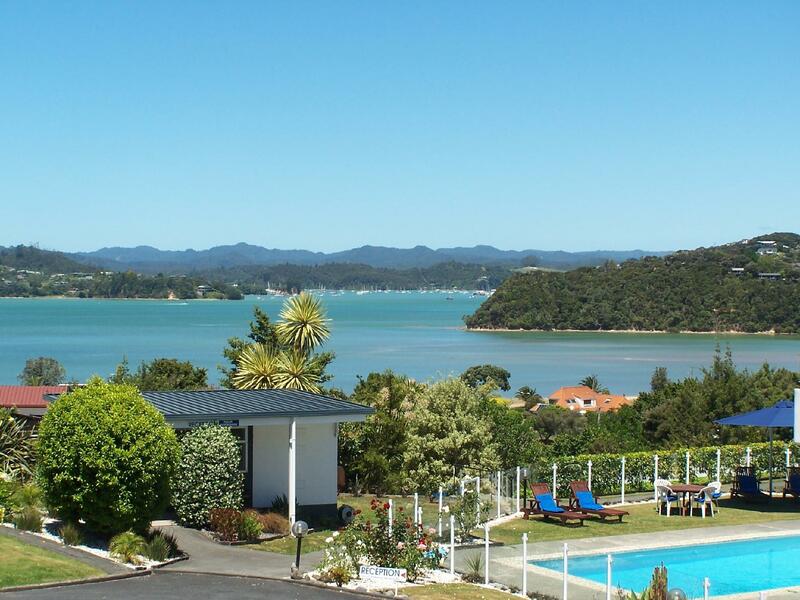 يشكل فندق Aloha Seaview Resort بموقعه الممتاز في قلب Paihia نقطة انطلاق ممتازة لاستكشاف Bay of Islands. يمكن من هنا للضيوف الاستمتاع بسهولة الوصول إلى كل ما تقدمه هذه المدينة النابضة بالحياة. يوفر الفندق بفضل موقعة الجيد وصولاً سهلاً إلى أهم معالم المدينة.
. يعمل Aloha Seaview Resort على ضمان إقامة مريحة لضيوفه من خلال خدماته الممتازة وحسن ضيافته. إن واي فاي مجاني في جميع الغرف, واي فاي في المناطق العامة, صف السيارات, رعاية أطفال, غرفة عائلية هي جزء فقط من الخدمات التي تميز Aloha Seaview Resort عن باقي الفنادق في المدينة. لقد جهزت هذه الإقامة الفندقية بعناية فائقة لتوفر مستوى عالي من الراحة. في بعض الغرف يجد النزيل تلفزيون بشاشة مسطحة, اتصال لاسلكي بالإنترنت, اتصال لاسلكي بشبكة الإنترنت (مجاني), غرف لغير المدخنين, تدفئة. يقدم الفندق خدمات رائعة كمثل حوض استحمام ساخن, حمام سباحة خارجي, سبا, مسبح (للأطفال), حديقة لمساعدتك على الاسترخاء بعد نهار طويل من النشاط والتجوال في المدينة. إن كنت تتطلع إلى إقامة مريحة وهادئة في Bay of Islands، فستجد في Aloha Seaview Resort بيتك الثاني. I would thoroughly recommend the Aloha Seaview Resort. 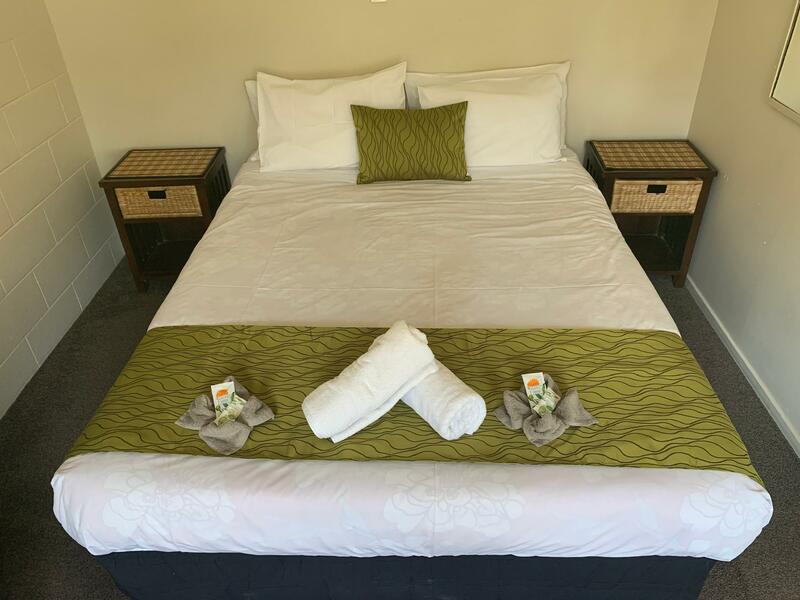 It was well positioned, very quiet location,well equipped kitchen, very clean and the staff were so friendly and helpful. The rooms were spacious and had a lovely view. Rohit the owner and staff was very welcoming and friendly. Will definitely be going back on the future. Lovely clean apartment (no 8) with sea views. 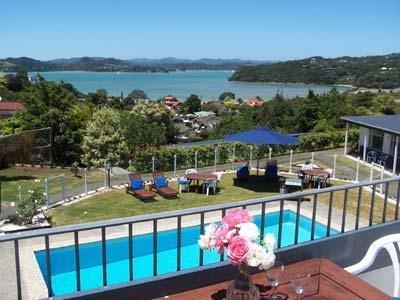 This is a great location to stay at in Paihia, so long as you have a car to get in/out of town. 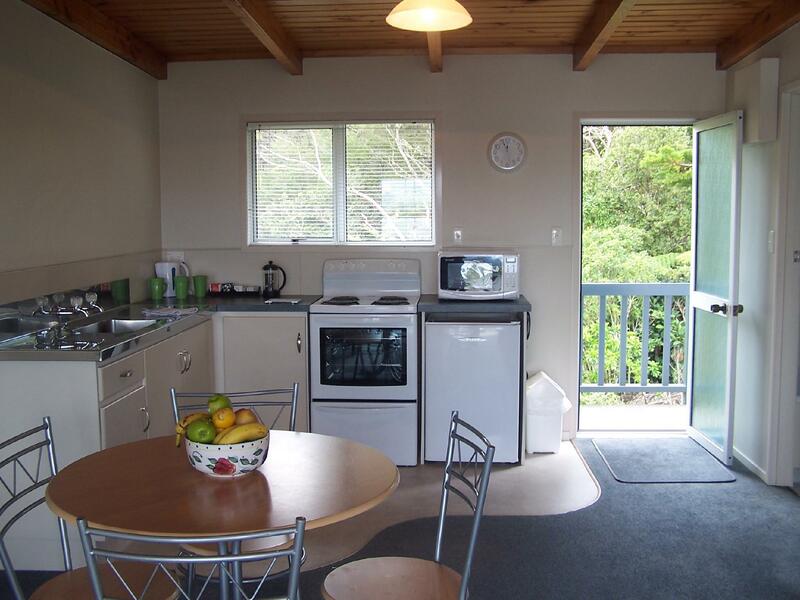 Rooms were a good size with a well equipped kitchen. 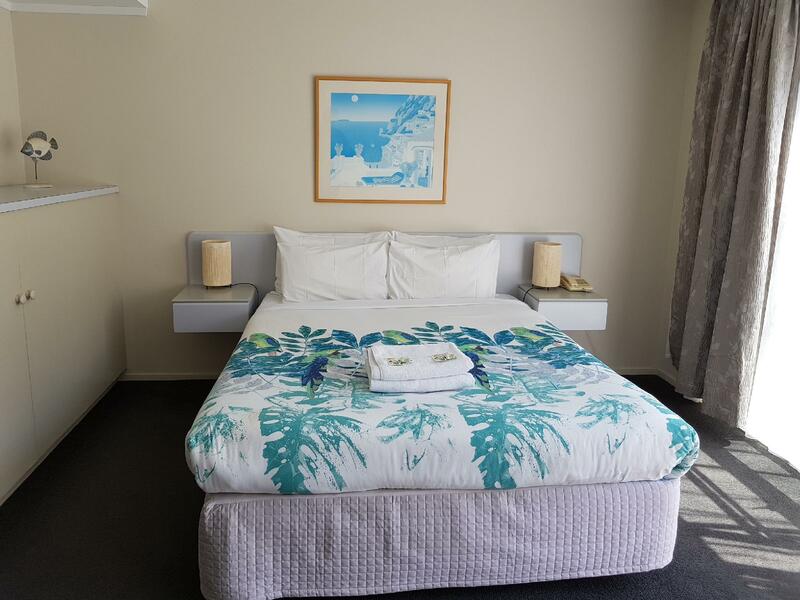 Walking distance to beach and restaurants. We loved that our room was so spacey. My toddler loves running around so it was perfect. My 8yr old loved the playgrounds and the game room and also the dvd player and free dvds she got to watch. I know there us a new owner now and they are tidying things up. But the shower was horrible. It only piddled water and it took so long to shower and wash off soap, shampoo. We were given fans but only one so had to keep moving to bedroom and living room. Also on the last day we were packing up and looking under beds to see if we missed anything. Hubby found a pretty dirty underwear. Hilarious now but i think the rooms can do with a better clean. Also we were looking forward to swimming in the beautiful pool but the water was dirty and murky and sandy at the bottom. There was no visibility below chest. It was a lovely stay with a lovely view. 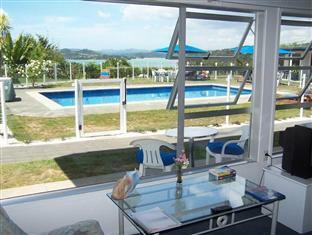 The owner was very helpful and took time to share about the attractions, amenities in the vicinity. Seeing that we have young kids and huge luggage, he kindly offered us a ground floor unit and WIFI vouchers for our first world connectivity needs. From our room (#1), we were greeted with a pool view and a view of the bay of islands. Lovely sunset and sunrise greeted us during our stay and it was really enchanting, especially during the sunset when sky turned pink and blue. 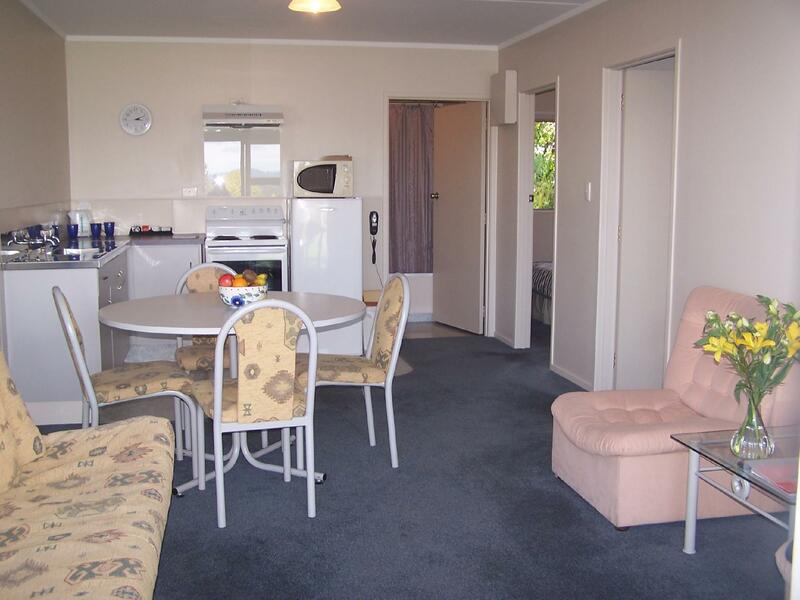 The estate was well kept and the room was clean and tidy. We wanted to cook and had issues with the stove. The owner was prompt to fix this this (just a loose connection) and he readily exchange the frying pan when asked. 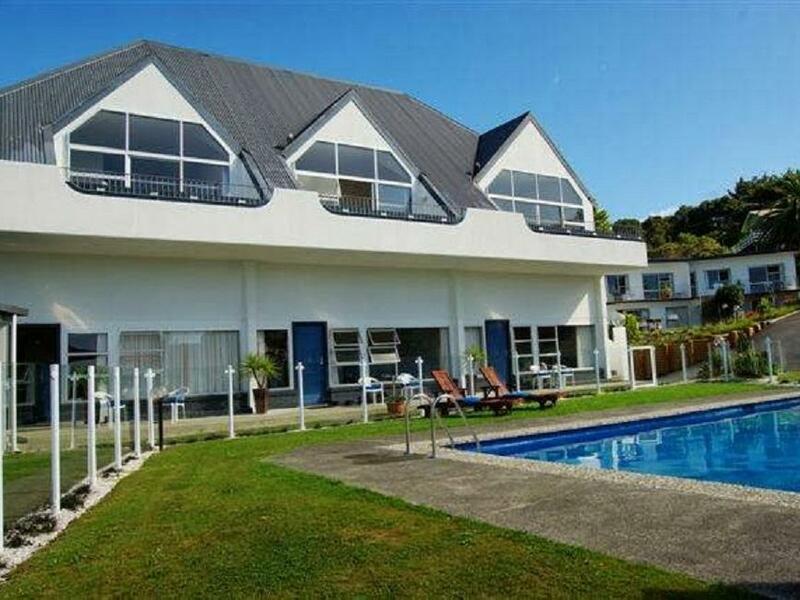 This estate also has a small play area and offer nice views of the bay of islands from different points. The location is barely 5 minutes drive to the Paihia town centre where we ate, bought groceries, took the cruises. Highly recommended! Slightly out of town. Nice and quiet and large rooms. Noisy on bottom floor as people staying above us were very noisy with thumping on the floor ongoing during the evening and night. Rooms were outdated and old. Have us a room that stank so bad of mould we had to buy a candle to try to get rid of it. When we asked about it, he knew of the problem but still put us in there. Lucky none of us had asthma! He did move us the next night, but only because we asked! Room is a health hazard! I made the booking for a friend who was most disappointed with their stay. First, I want to thank you for your feedback. While I wish, you had a better experience, it is feedback like this that we learn from and use to improve. Curtains have since been replaced and we hope you would enjoy your time next time with us. Enjoyed the quietness. Away from traffic noise..